Please join us in celebrating the richness of Focusing as it has been creatively integrated into the diverse way we practice psychotherapy across the globe.. At this exciting international gathering, we will be learning, reflecting, cross-fertilizing, co-mentoring, and enjoying the company of new and old colleagues. Our pre-conference workshops begin on Wednesday afternoon, November 9th and continue through Thursday noon, November 10th. There are two shorter pre-conference offerings that will be offered just on Thursday morning. Before arriving, you will asked to choose one of nine morning study groups that will allow for a more ongoing interactional experience. The study groups begin on Friday, and meet on Saturday and Sunday mornings. In the afternoons on Thursday, Friday and Saturday , there will be many diverse workshop sessions of 90 minutes each. You are free to choose those workshops on the spot. Some of our morning study group leaders and pre-conference presenters will be offering afternoon workshops as well. On Friday afternoon we will host a panel discussion entitled: One Process, Many Avenues:Therapeutic Paths for Carrying Forward in FOT. And on Sunday morning Gene Gendlin will join the whole community and will answer our questions and offer his remarkable insights. Evenings will be a chance for more informal connections, include an opening ceremony honoring our participants from around the world; wine and cheese gatherings; a coffee house n which we will express our talents in music, poetry and short prose pieces; and a dance where we will kick up our heels. . Plus this year we are inaugurating an ongoing art show of participants' work, with a silent auction to benefit The Focusing Institute. Last conference in '09 filled to capacity, so please register early to join us for this important fulfilling and fun event that occurs only every two years! Cultivating a shared experiential process is the heart of Focusing-Oriented Therapy (FOT). This approach, essential to our work with clients, distinguishes FOT from many other psychotherapies. Engaging ourselves and our clients in this way creates a therapeutic experience that is unique to each encounter. We invite you to bring yourself fully to Living the Practice. Directions to Stony Point Click here to register! Study Group: On Three Modes of Focusing in Therapy - Akira Ikemi, Ph.D. The Sacred Art of Psychotherapy: Spiritual Gateways for Therapist and Client - Joan Klagsbrun, Ph.D. JOURNEY THROUGH THE INTERACTIVE MODEL: HOW TO HEAR AND BE HEARD - Mary McGuire, Psy.D. and Bala Jaison, Ph.D. The development of Focusing Oriented Psychotherapy and Thinking At the Edge in Far East - Osako, K., Tokumaru, S., Murasato, T., & Suetake, Y. Central to Gendlin’s philosophy is the nurturing of an authentic responsiveness in the dyad as they co-create their relationship. Yet, when one learns Focusing, the richness of its relationship potential may be de-emphasized. This workshop will help you to deepen the relational engagement with your clients. Joan Lavender Psy. D. is a teacher and supervisor in the Focusing Oriented Psychotherapy Program in New York City . She has integrated this perspective into her writing on loneliness, eating disorders, body image, movement therapy, the experience of life as a therapist, envy and, most recently, Focusing and Aging. Please listen to this brief introduction to Joan's presentation. In this pre-conference workshop you will learn the fundamental theory and approaches of Focusing-Oriented Art Therapy (FOAT). This workshop is useful for therapists and other practitioners who are interested in learning how to integrate art therapy into their work with clients and/or expand their own creative expression with Focusing. This workshop will provide an overview of the foundational principles of FOAT; the basic step of symbolizing the felt sense through artistic expression; and an overview of the three main FOAT approaches—Clearing a Space with Art; Theme Directed; and Focusing-Oriented Art Psychotherapy. The format will include didactic, experiential, and case examples. Laury Rappaport, Ph.D., ATR-BC, is a Certifying Coordinator with The Focusing Institute, Associate Professor at Notre Dame de Namur University and author of Focusing-Oriented Art Therapy. She has a wide range of clinical expertise in private practice, day treatment, illness and wellness, trauma, etc. with adults, children, groups, couples, and families. Please listen to this brief introduction to Laury's presentation. Everyone has a story worth telling. Taking the leap to express them in writing can bring surprising insights, perspectives and an appreciation of what is uniquely ours. A memoir can be about two weeks, a defining moment, central relationship or it can encompass the whole arc of a life. Using focusing, and other experiential exercises we will connect to what lives passionately in our hearts, and by staying close to our experience find vibrant language to express that. As we weave memories and experiences together, we will learn the tools that move a story forward: adding dialogue, flowing between external and internal landscapes, vivid details, and shifting tense and time. We will support and learn from each other as we write, and share our writing by reading our stories aloud. Please listen to this brief introduction to Susan's presentation. We will explore together the subtle yet dynamic inter-relational fields of wholebody awareness between Focuser and Listener. In this shared space of Co-Presencing in which both are in Grounded Presence, we become more precisely attuned to the whole field of experiencing which emerges freshly for both in a safe and living way. The bodily awakening to its own healing and new knowing around past trauma might include noticing energy flow, precise inner directed movements, postural adjustments, imagery, gesture, and sensori-affective information. By remaining connected to a sense of Self, Other, and Environment throughout the WBF process, we discover both inner and outer resources for our own healing and emergent knowing. Karen Whalen, Ph.D, RPP is a clinical therapist in private practice in Canada . She teaches Wholebody Focusing Oriented Therapy actively in North America and elsewhere. She is currently co-authoring a book on a Wholebody Focusing Oriented Approach to Working with Trauma with Glenn Fleisch. This workshop demonstrates how Focusing can be applied to couples therapy, and complement the work you are doing. By inviting couples stay connected to themselves, couples begin to understand themselves and each other more deeply, which shifts the dynamics that keep them stuck, and allows a movement toward greater intimacy. Focusing can help to interrupt the common cycle of blame, defensiveness, and attack, and offers couples a way to cultivate an attitude of respect, gentleness, and kindness toward themselves and each other. Uncovering deeper feelings, needs, and concerns, and expressing these in a non-defensive, tender way creates a climate that invites and nurtures intimacy, love, and connection. John Amodeo, Ph.D., MFT, is author of The Authentic Heart, Love & Betrayal, and is co-author of Being Intimate, which applies Focusing to intimacy. He has been a psychotherapist in the San Francisco Bay Area for thirty years and is an adjunct faculty member of Meridian University . He is a Focusing trainer. Please listen to this brief introduction to John's presentation. Undervisioning is an understanding, smooth, seamless, respectful process. Supervision can sometimes leave a therapist feeling jolted and misunderstood. Undervisioning is designed to elicit new perspectives while feeling utterly friendly to your process. Undervisioning can be learned in a peer supervision context based on small elegant adaptations of Partnership in the Domain Focusing style. Some differences and conflicts between Domain Focusing and other methods such as 6 steps and Inner Relationship will be respectfully discussed so that your knowledge in those styles of focusing, serves you in this process. Robert Lee, Ph.D. Licensed Psychologist, is a focusing theoretician and innovator. He has developed a new model of Focusing (Domain Focusing) and a method for Deep Change (Macroshifting). He has developed special methods for using focusing with anxiety and depression and with couple and group psychotherapy. Please listen to this brief introduction to Robert's presentation. In this study group, I will take up three modalities of Focusing in therapy. Many clients who come to clinics tend to be "doctor-centered", while the therapist attempts to be "client-centered". This is why I saw the importance of teaching clients to look into their own felt senses and explicate from there. In groups, I taught Focusing, Listening and the Experiential Process. I will demonstrate how I taught Focusing and welcome discussions and sharing about our experiences in teaching Focusing to clients. Clearing a Space (CAS) has widely been used in therapy. Sometimes combined with other body oriented approaches. I will present on combining CAS with a method of relaxation called Self-Regulation Method, a Japanese form of Autogenic Training. I would like open to group to discuss CAS in relation to therapy and meditation. Participants are asked to bring a set of color pencils, glue, scissors, and four or five magazines with a lot of pictures. Akira Ikemi is a Professor of Clinical Psychology at Kansai University Graduate School of Professional and Clinical Psychology. He is one of the founders of the Japan Focusing Association and is currently a board member of the Focusing Institute. He practices, studies and teaches FOT. Please listen to this brief introduction to Akira's presentation. When we bring presence, compassion, and gratitude to the psychotherapy process, we embark on a sacred journey. We will discover how Focusing creates natural gateways to the spiritual, and how a spiritual perspective enhances our skill as therapists. With Focusing as our guide, we will explore exciting new practices from positive psychology as well as ancient wisdom from spiritual and poetic traditions. Our goal is to elevate our perspective and to enliven our work. Joan Klagsbrun, Ph.D. a psychologist who has been practicing for three decades, has been teaching Focusing internationally for that time. In her work at the interface of psychology and spirituality, Joan finds Focusing to be as effective for eliciting a spiritual perspective, as it is for working on the psychological level. IS IT POSSIBLE TO PUT NOTHING IN-BETWEEN? Exploring Gendlin's plea to be fully present to the client without theory, technique, or expertise getting in the way. This study group explores the possibility of working only with what presents itself immediately in an FOT session. Gene Gendlin advises us to be with our clients without theory, diagnosis, technique, or even Focusing, getting in the way of our connection with the client. Is this possible? How open can we be when we're being a therapist? As Focusing-oriented therapists we will deepen our exploration with reference to issues such as self-disclosure, directive/non-directive practice, working relationally in therapy, boundaries in therapy, our implicit biases, assumptions, philosophies, and the place of challenge in FOT. How real can we be and still call it therapy? Greg will offer his perspective as an (experiential-) existential psychotherapist but this will be a peer group discussion, each member will be encouraged to deepen our reflections by offering their own examples and queries. While respecting our diverse approaches, we will incorporate experiential exercises, client presentation, and demonstration to deepen our questions about what it means for us to practice as a Focusing Therapist. Greg Madison, PhD is a chartered psychologist and registered psychotherapist practicing within an experiential-existential understanding of therapy. Greg lectures on Focusing and this form of therapy in London and internationally. He also has specific interests in the topic of cross-cultural migration, home, and belonging. Please listen to this brief introduction to Greg's presentation. In to the Fear-Factory: Connecting with the Traumatic Core. As a part of the dissociative process, the human being generates free-floating, persisting anxiety on top of the original anxiety that relates to the traumatic core. In order to help the client to connect with that traumatic core as a step towards healing, the therapist should be aware of the separate existence of these two kinds of anxiety. The study group will be invited to discuss therapeutic avenues to deal with that complexity in a focusing-oriented way. Discussion will be facilitated by extensive case descriptions of the therapeutic process of severely traumatized adolescents. Participants are also invited to bring in their own experiences with dissociated clients. Bart Santen, Utrecht, The Netherlands, is a clinical psychologist and focusing-oriented psychotherapist, who works mainly with traumatized children and adolescents. Several of his publications about this work can be read online, including his last article "Into the Fear-Factory: Treating Children of Trauma with Body Maps" (The Folio, 2007). Please listen to this brief introduction to Bart's presentation. Gendlin's work shows us that the authority for 'interpreting' rests with the dreamer herself, with the dreamer's living felt sensing bodily responsiveness. With the practice of felt sensing and Focusing, the dreamer is supported at a very deep level with her own expertise in allowing resonant meaning to unfold, using the rich metaphorical images and stories from dreams as a starting point. Being with dreams in a Focusing way can contribute richly to our waking lives, and enliven both the dreamer and the listener(s), whether therapist or dream group participant. We will study and practice the details of felt sensing with dreams, as well as a variety of special sequencing possibilities. We will focus on and experiment with dynamic therapeutic ideas that can guide and inspire us through the tumultuous storms and disheartening impasses we encounter in our work. The focusing and experiential processes that we will use to integrate and carry forward these ideas will both bring us concrete immediate help with our clients and also develop our versatility in the creative use of theory, which I refer to as TTTAE (Theoretical Therapeutic Thinking at the Edge). Lynn Preston, MA, MS, the originator, director and primary teacher of the Relational Focusing-Oriented Psychotherapy Programs in New York, and Cape Town South Africa, has been teaching the application of Eugene Gendlin’s Focusing to Psychotherapists for over thirty years, and has written and presented internationally on the subject of bridging Relational Self Psychology with other relational theories and with Focusing. Please listen to this brief introduction to Lynn's presentation. Mary McGuire, Psy.D. and Bala Jaison, Ph.D. The Interactive Model is a profound therapeutic tool providing a safe structure for both hearing and getting heard – especially in areas of conflict and disagreement. Through demonstration, feedback and practice you will learn the fundamentals of interactive listening skills to help clients enhance communication, openness, and safety in all relationships. We will be dealing with conflictual interactions that apply to working with couples, friends, children and colleagues. We encourage you to bring your most challenging cases for role-plays and demonstrations. Mary and Bala are delighted to reunite in teaching together again and we dedicate this workshop, with love and respect to Dr. Janet Klein, the founder of the Interactive Model. Bala Jaison, Ph.D., author of Integrating Experiential and Brief Therapy: How To Do Deep Therapy – Briefly and How To Do Brief Therapy – Deeply, is an internationally recognized workshop leader. She and Mary McGuire created the Week-long together in 1984, team-teaching for many joyful years. Bala is a psychotherapist for individuals, couples and families, Director of Focusing For Creative Living in Toronto, a Certifying Coordinator for the Focusing Institute, and Senior Editor of the Folio, the academic journal for the F.I. Please listen to this brief introduction to Bala's presentation. Mary McGuire, Psy.D., is a Sister of St. Joseph and holds a doctorate in Clinical Psychology. She was Director of the Focusing Institute in Chicago for 15 years. During those memorable years she and Bala taught Week-longs for Certification. Mary has traveled extensively teaching Focusing and Interactive Focusing with her dear friend Dr. Janet Klein who has left us her legacy: The Interactive Focusing Model for Healthy Relationships. Please listen to this brief introduction to Mary's presentation. Our three mornings will offer practitioners new to Focusing a basic understanding and experience of "felt sensing" and the kind of symbolizing that comes from it. We will demonstrate and discuss the experiential Focusing process that is now considered to be the crux of theraputic change and forward movement in psychotherapy. This workshop will create a safe space to work with the Focusing process, and learn from the organic teachings that emerge directly from our own experience. We will also explore some ways Focusing can be integrated into clinical practice. Charlotte Howorth, LCSW, is currently Clinical Consultant to a social services agency who specialize in family therapy called CHDFS. She also organizes and teaches The Focusing Institute's Focusing Oriented Psychotherapy 2 year certification training course. In addition, Charlotte is on the faculty of Focusing Oriented Relational Psychotherapy - a training program that combines Focusing with Relational Self Psychology. Charlotte also has a private practice where she works with individuals, couples, and groups. Please listen to this brief introduction to Charlotte's presentation. Ruth Rosenblum, LCSW, is a Focusing trainer, a faculty member and supervisor with FORP, and is co-founder of the Westchester Changes group. A certified Jewish Mindfulness Meditation teacher, she leads mindfulness groups in synagogues and community organizations and has developed contemplative programs for Westchester Jewish Community Services. 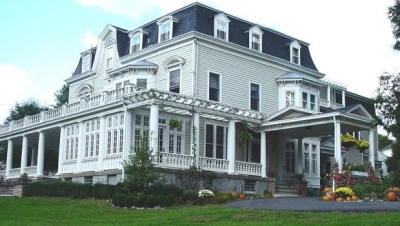 Ruth maintain a psychotherapy practice in Westchester county, New York . Transformational Focusing: a Wholebody/Spiritbody Integration. Transformational Focusing is an experiential process of deep change, evoked through the power of Co-Presencing, a field of shared experiencing that enables us to access the wisdom of the Wholebody /Spiritbody. In this new space, we will explore how the body’s felt sense of next steps naturally awaken and move us forward. You will have the opportunity in dyads and with the whole group in the “theatre of the living body” to actively participate in the deep healing of each person. How we creatively utilize the power of Co-Presencing within a psychotherapy process will be explored. Doralee Grindler Katonah, Psy.D., M.Div . is Associate Professor at The Institute of Transpersonal Psychology, Palo Alto , CA ., the founding director of The Focusing Institute, and a Certifying Coordinator. She is a Focusing-Oriented psychotherapist who has taught worldwide. She practices Zen Buddhism and is interested in the interface between felt sensing and spiritual growth. Glenn Fleisch, Ph.D, MFT is a Focusing-oriented therapist, specializing in the Wholebody Focusing approach to healing trauma and addictions. He has been teaching WBF and FOT worldwide- and is an Adjunct Faculty member at CIIS and JFK University. Glenn and Doralee have founded a non-profit called The Institute for Transformational Living. This workshop demonstrates how Focusing applied to couples therapy can complement the work you are already doing. What is happening between the couple is often a reflection of what is happening within the two individuals. Helping couples stay connected to themselves can interrupt the cycle of blame, defensiveness, and attack. John Amodeo, Ph.D., MFT, is author of The Authentic Heart, Love & Betrayal and is coauthor of Being Intimate, which applies Focusing to intimacy. He has been a psychotherapist in the San Francisco Bay Area for thirty years and is an adjunct faculty member of Meridian University. He is a Focusing trainer. As therapists we are often confronted with our older patients' fears about aging, illness, and dying. In this workshop we will explore our own stories around these issues with a goal of finding a new and more comfortable relationship within ourselves, expanding our responses as therapists. Kelley Bothe, LICSW, FOT, has been practicing psychotherapy for 25 years in the greater Boston with an emphasis on women’s development. This interest has recently expanded to encompass aging and the challenging issues of illness and dying. Hadley Fisk, LICSW, FOT, psychotherapist in the Boston area, is currently interested in group therapy around issues of aging. Hadley has written an article for The Folio: “Focusing Adventures in Aging: Alone--Crisis and Opportunity”, having found Focusing to be an essential tool for exploring her own aging crises. The core elements of FOT enhance and meld with the essential and most important elements in the practice of Emotionally Focused Therapy when working with couples . Touching upon these key conversations, we will explore how when they are combined enhance the 'dance' in couples work. The workshop will be both didactic and experiential. Linda Bradley is a LCSW, FOT, and an Advanced Emotionally Focused Couples Therapist. She has a private practice in New York City working with couples and individuals. How can we use a Focusing-oriented process to lead clients to their core issues, those deep-seated emotional patterns that cause them suffering again and again? This session explores the emergence of deep recurrent themes in FOT from a narrative and attachment-trauma perspective, and how we can experientially guide clients to identify and bring forth these themes to create transformative shifts in their lives. Theories, case examples, and experiential exercises illustrating these concepts will be presented as well as applications to our personal focusing process. Helene Brenner, Ph.D. has been a focusing-oriented psychologist in private practice in Frederick, Maryland and a focusing trainer. For 20 years. A national workshop presenter, she is the author of I Know I'm in There Somewhere: A Woman's Guide to Finding Her Inner Voice and Living a Life of Authenticity. In this workshop we will explore a group process in which participants are treated as "guests" and are invited to join in one person's focusing process while protecting the sanctity of the focuser's inner work. This practice facilitates a sense of connectedness and belonging, as it expands individual focusing processes. Calliope Callias, PhD is a NY based Clinical Psychologist with specialization in Group Psychotherapy. She is a Certified FOTherapist/Trainer, a graduate of Lynn Preston's FORP program, studied with Gene Gendlin, worked as a coach for Robert Lee's focusing program, and is currently coaching for the Focusing Institute. - I will share my original New York Zen Stories in order to evoke a Focusing and Zen dialogue. - Welcoming our varying perspectives, we will delve into the overlap and divergence of Focusing and Zen. Anna is a certified Focusing trainer and psychotherapist in private practice.Practicing Zen since 1968, she received dharma transmission from her teacher Charlotte Joko Beck in 1997, and began teaching. Anna is a graduate of Lynn Preston's Focusing Oriented Relational Psychotherapy program, and currently teaching Focusing at the National Institute for the Psychotherapies. Clients who are merged with reactive states like anger and fear need an inner spaciousness so Focusing becomes possible. Facilitating Self-in-Presence can be done with simple shifts in language, integrating smoothly into any type of therapy. When clients can give themselves compassionate empathy, this supports a primary goal of therapy. Ann Weiser Cornell PhD (Linguistics) learned Focusing from Gene Gendlin in 1972, and offers Focusing training, including to therapists. Her books include The Power of Focusing and The Radical Acceptance of Everything, and her new book on how therapists can bring Focusing into clinical practice is forthcoming from W.W. Norton. Focusing Oriented Movement Therapy: Solo Focusing with Authentic Movement. Come to trust your Inner Wisdom as it expresses itself through dialogue and interaction between two parts of yourself. One is a Focuser who moves spontaneously, the other is your inner Witness/Listener, who reflects the mover /Focuser's words and movements for their further revelation. Aileen Crow is trained in Arnold Mindell’s Process Work, which she combines with Authentic Movement, art, Satir’s Parts Parties and Solo Focusing. She has been a Laban Movement Analyst and a teacher of the Alexander Technique since 1969. She recently participated in Shirley Turcotte’s Complex Trauma and Focusing training program in NYC. We are members of a Focusing Oriented Relational Psychotherapy Study Group that has been meeting with Lynn Preston for the past 4 years. We will dialogue with each other and share some of our essential concepts about integration. Then, we will engage everyone in a focusing oriented conversation about this dynamic process. Exploring what Gendlin calls the Background Feeling in Focusing might give access to old implicit connections and lead to some transformative and alleviating potentialities. This theoretical and experiential workshop will invite participants to identify and pay attention to their Background Feeling and to explore further development on this theme. Marine de Freminville is a clinical Psychologist, Certifying Coordinator presenting and teaching Focusing for more than 20 years in Canada and Europe. See her article on the presented topic in the Tribute Folio 2008. As an EMDR practitioner, she likes to use Focusing with EMDR in dealing with trauma and unresolved grief. In this presentation, I will summarize the results obtained from my investigation of the mental health of occupational health workers (nurses and occupational health nurses), and discuss the correlation between a Focusing attitude and mental health. Then, I will describe the program I developed for occupational health workers using Focusing-oriented exercises to cope with their own stress. Akiko Doi, Ph.D. is seeing clients in corporate environments as a clinical psychologist, and is Associate Professor in Kobe Gakuin University. Akiko is closely working with Kevin McEvenue with Whole Body Focusing, and finds it helpful for business people to feel their body. The presentation will focus on therapist self-care and highlight the importance of cultivating reflectivity. Using the focusing steps, ‘clearing the space’, artistic expression and other self-monitoring exercises we will have the chance to reflect on the hazards and rewards of our profession and create meaningful self-care reminders. Soti Grafanaki is a professor of Counselling at St.Paul University (Canada). She is a Person-centred therapist, a Certifying Coordinator and Trainer of Focusing. Soti has 15 years of experience in training and supervising new therapists. She has facilitated a number of professional development workshops in Canada and Europe. The leader will present ways in which her own focusing process enabled her and her client to move through a clinical impasse, and open towards authentic therapeutic engagement. She will invite participants to sense into their reactions to the case, and how their own focusing process manifests in clinical work. Lois Greifer, Ph.D., is a clinical psychologist in private practice in NYC. Initially trained in psychodynamic psychotherapy, she has come to rely heavily on her focusing training in her clinical work. She participates in a weekly study group with Lynn Preston, which addresses integration of psychotherapeutic approaches. We are devising a self-help manual of Focusing for human service providers, with different versions for different professions, such as for therapists, nurses, teachers, etc. In this presentation, we will present a manual of Focusing for therapists. Participants will use this manual to Focus about their clients. Discussions are welcome. Tomoko Hirano, M.A. is a doctoral student in the clinical psychology program at Kansai University in Japan. Her current interests are in the area of supporting human service providers and caring for patients and their families suffering from cancer and chronic diseases with Focusing. Akira Ikemi, Ph.D. is a professor of clinical psychology at Kansai University, Japan. He is a board member of the Focusing Institute and is one of the founders of the Japan Focusing Association. He has written several books in Japanese and authored numerous articles on Focusing. ‘A client sends us a letter in a foreign language, does not put a stamp on the envelope and writes the wrong address and yet we still have to get the message’. This workshop will explore the challenge that Gendlin lays out for us – how to get the client’s deeper point. Charlotte Howorth, LCSW is a Clinical Consultant to CHDFS social services agency that specializes in family therapy. She has a private practice working with individuals, couples, and groups. Charlotte teaches the FOT certification training course of the Focusing Institute. She is a faculty member of Focusing Oriented Relational Psychotherapy program that combines Focusing with Relational Self Psychology. The psychotherapist’s felt sense in the interview is very important to develop or deepen the psychotherapy process. But how to use therapist’s felt sense effectively needs to be considered carefully according to the assessment of client’s problem or ego strength. professor of clinical psychology in Gakushuin University since 2003. Resonance is more than an empathic stance. If its physical force can shatter glass or crumble bridges, might it also arouse the stasis of "stopped process" and restore the forward movement of the "living process"? By way of matching, mirroring and empathic attunement, through the body's felt recognition of resonant "rightness", we experience the "shift" in the flow of information, learning and healing. Lanie Kagan MA CP, FOT Trainer in New York. Robert Lee’s Focusing Certification, graduate of Lynn Preston's Focusing Oriented Relational Psychotherapy program, participant in meetings with Gene Gendlin. Studying and integrating the "Sensation Method" of homeopathy, developed by Rajan Sankaran MD, and Focusing to locate energetically, "what needs to be healed". Alba Emoting™: A new tool for increasing awareness and modulating emotional arousal. This workshop will include a didactic and experiential introduction to Alba Emoting and a discussion of integrating this method with Focusing Oriented Psychotherapy. Alba Emoting is a scientific, physical method for recognizing one’s own and others’ emotions, as well as calming down intense emotions. Juan Pablo Kalawski, PhD studied Alba Emoting with its creator, Susana Bloch. He has conducted research on Alba Emoting and pioneered the application of the method in psychotherapy. He has studied Gendlin’s work under Gabriel Reyes in Chile. From Loneliness to Solitude: Dead-ends, Dissociation and Reassociation. Many know loneliness in the company of others. What does it take to have the felt sense of solitude when with others? I will weave together my work with a difficult client, the felt sense of loneliness, and the place of “presence” in developing the felt sense of solitude. Attuned interactions create restorative experiences and ‘felt shifts’. Such felt moments bring light to dark places and tip the balance towards the beautiful. Let’s come together to focus, formulate ideas and appreciate the beauty in psychotherapy in this experiential workshop. In this presentation Ulysses’ journey will be followed under an FOT perspective. We will refer to the myth and the relevant experience acquired from training/practice by elaborating on existential issues arising from this narrative. We will close with an experiential exercise that will allow the participants to work in couples. Anna Karali has a BA in Psychology and a post graduate diploma in Counselling. She has been trained in Person-Centred Psychotherapy and Focusing. She works as a psychotherapist, supervisor and trainer. She is also a Focusing Coordinator for Greece. Pavlos Zarogiannis has studied psychology, German literature and linguistics and has been trained in Person-Centred Psychotherapy and Focusing. He works as a psychotherapist, supervisor and trainer and is a Focusing Coordinator for Greece. Anna and Pavlos founded the “Hellenic Focusing Center” in Athens, Greece, where they run a 4-year training course in Person-Centred and Focusing-Oriented Counselling and Psychotherapy. Nikolas Kypriotakis, educator, senior trainee of the “Hellenic Focusing Center”. Journey with us and discover a fresh approach to working with children individually and in groups. Along the way you will learn new and exciting ways to help children slow down, tune in and express themselves. Through demonstration, practice, and feedback you will have an opportunity to develop and expand your Focusing oriented listening and guiding skills. Lori Ketover, LMSW is a Focusing Oriented Therapist, Trainer and Coach with 15 years of experience working with children, families and groups in therapeutic, educational and community settings. She is the Founder of the Long Island Focusing Center in Woodbury, NY and has coordinated the Focusing Institute's Partnership Program for the last 10 years. This presentation is about the space between the client and the therapist in which the inner space of the client develops. How the therapeutic interaction nurtures inner space is our question. Yasushi Kuba is a psychotherapist working at a psychiatric clinic and a prison. He finds Gendlin's philosophy as a core of his practice and thoughts. Mako Hikasa teaches clinical psychology at the University, practices as a psychotherapist, and also teaches Focusing as a certifying coordinator. This presentation will provide an introduction and overview of the Internal Family Systems Model and explore the ways in which Focusing and IFS techniques can be combined to create highly effective therapeutic interventions. Some experiential work will be included. Susan Lennox, Ph.D. is a Certifying Coordinator and a Focusing-oriented professional coach who integrates parts-oriented Focusing approaches informed by both IFS in her coaching method. She has completed IFS Level I and II training and has served as a Practice Assistant in yearlong IFS training for therapists. How FOT facilitates the client’s level of experiencing. In this presentation, the therapist’s effective interventions which facilitate the client’s experiencing will be discussed both theoretically and practically. It includes discussion on clinical usage of the EXP scale, on some practical examples using Art and body awareness exercises and on how the therapist would select the intervention according to EXP level. Maki Miyake Ph.D. is Certified Clinical Psychologist (Japanese society of certified Clinical Psychologist) and Focusing Trainer working in a school and a company. She teaches undergraduate psychology in Kansai University and offering focusing workshops for various populations in her private practice. The Focusing Oriented Psychotherapy and The Thinking At the Edge are developing unique way in the context of Far Eastern culture. In this presentation, we offer some materials for discussion with showing majordevelopment and expansion of FOT and TAE in Far East. "KOL-BE" is a friendly, human like figure with no gender characteristics, facilitates meaningful felt shifts in a short time for focusers and non focusers. The process is photographed on a cell phone and logged. Used with children, couple and family therapy. Experience KOL-BE and clearing a space, self empathy and the critic. Dr. Atsmaout Perlstein is a clinical Focusing oriented psychologist in private practice for the past 28 years working with individuals, couples and families. She specializes in relationships, trauma, depression and anxiety. She has lectured extensively and trained both psychologists and other professionals in America, Europe and Israel. Eugene Gendlin's Focusing and Montague Ullman's dream group process are pioneering approaches to appreciating and exploring dreams and receiving the gifts they offer for our waking lives. Learning from both approaches we can cultivate a deeply safe and fertile sensitivity for working with dreams, in individual therapy as well as in dream groups. Janet Pfunder is a Focusing-Oriented Therapist in Park Slope, Brooklyn, with thirty years of experience in private practice. She teaches Focusing and leads dream groups. Through experiential exercises participants will learn skills using the felt sense to help clients identify and work with intergenerational/vicarious trauma. This workshop will explore how the body holds this trauma and what the clinician can do to help the client separate what isn’t theirs and set this aside. Alexis Phillips (M.A., R.C.C.) is a registered clinical counsellor and Focusing-Oriented therapist, trainer and coordinator working with a community service agency in British Columbia, Canada. She provides clinical training in Focusing and Complex Trauma and has worked in collaboration with agencies such as the Indian Residential School Survivors Society. Shaun Phillips (M.Ed., R.C.C.) is a registered clinical counsellor, Focusing-Oriented therapist, trainer and coordinator. Shaun works with the BC Society for Male Survivors of Sexual Abuse and To the Moon and Back Psychological Services. Shaun is one of the international teachers for the Focusing Institute’s Advanced and Certification Weeklong. Through experiential exercises participants will learn new skills using the felt sense to help clients identify and work with the inner critic. Participants will learn that the critic is not necessarily a block but can be a useful ally pointing toward areas in the self that need attention. We made a distinction between a Dynamic Image that encompasses a whole (image-felt sense-insight), that helps capture new understandings, and Local Images that move the process forward for it to reach new insights. We will have the chance to explore further these two types of images and their contribution to the therapeutic process. Galia Porat, M.A in English Literature (Tel-Aviv University), certified focusing trainer by the Focusing Institute, Certified Parents Groups Facilitator (Tel-Aviv University). Teaching Focusing to individuals and facilitating workshops that integrate the focusing attitude into family and interpersonal settings. Liora Bar-Natan, M.A, Body Psychotherapist, heading the "Focusing Oriented Therapy Center", Coordinator Certified by the Focusing Institute. Senior faculty member at Ridman College, Israel. Therapist, supervisor and instructor, working both with individuals and groups. Member of the Europiean Association for Body-Psychotherapy, the EABP. Specialization in trauma therapy, Biosynthesis and Family Constellation. Website: www.focusing-therapy.com. This experiential workshop uses Focusing, Somatic Experiencing and Lakoff’s work on embodied thinking, to explore the power of felt visual metaphor. The therapist is a Life Sherpa, traveling on the ridge between heaven and earth, helping clients find the deep connection to earth that makes the journey to heaven fruitful. Serge Prengel is trained in Focusing, Core Energetics and Somatic Experiencing. He is in private practice in New York City, and hosts the monthly “Conversations” series on the Focusing website. Lynn Preston, MA, MS, director and primary teacher of the Relational FOT Programs in New York, and Cape Town South Africa. She has been teaching the application of Gendlin’s Focusing to Psychotherapists for over thirty years and has written and presented internationally on the subject of bridging Relational Self Psychology and other relational theories with Focusing. This workshop will provide an overview of FOAT including: foundational principles; the basic step of symbolizing the felt sense in art; an overview of the three main FOAT approaches—Clearing a Space with Art; Theme Directed; and Focusing-Oriented Art Psychotherapy; Case examples with a variety of clinical populations and a brief experiential included. Integrating Focusing-Oriented Therapy with EMDR in the treatment of an adult survivor of childhood sexual abuse. The case description illustrates a natural fit between a felt sense approach and the EMDR protocol. Peggy Reubens, LCSW is a psychotherapist in private practice in NYC - integrating EMDR, Relational psychoanalysis, Sensorimotor Psychotherapy, Focusing, Ericksonian Hypnotherapy. Faculty, and founder of unique Low-Cost EMDR Treatment Service, in the Trauma Program of the National Institute for the Psychotherapies. She has presented/published about a wide range of traumas. In this interactive workshop, we will experience how rhythmic sound and movement can deepen our connection to our body, help us access the felt sense, and facilitate the carrying forward process. These methods can be used in therapists' self-care and in Focusing-Oriented Psychotherapy with individuals or groups. Lillian Sober-Ain, Ph.D. is a Focusing-Oriented Therapist whose work incorporates collaborative hypnotherapy, EMDR, and meditation. Lillian studies hand drumming with Glen Velez, performs with two choruses and a synagogue band, and participates in a 3-year teacher training program in TaKeTiNa, an experiential rhythm method. Do you wish you could pause before reacting to what life tosses your way? If you want more self understanding, acknowledgement and acceptance getting to know parts of yourself - Subpersonalities- may be the key. Come experience Psychosynthesis, Dr. Roberto Assagioli’s approach to human development and psychospiritual health as I combine it with Focusing. Robin White is a counselor experienced in Compassionate communication (NVC), Emotional freedom technique (EFT), Psychosynthesis counseling and Focusing. Robin is a licensed K-6 Teacher and currently raising six teenage children, two of whom have significant developmental delays. She specializes in individual coaching, teaching workshops and educational-advocating/consulting for children with special needs in Vermont. Couples/families are powerful forces for joy and growth, for misery and stuckness. Adding couples/families to FOT brings into the room these realities and potentials. Learn how your Focusing experiences and skills can be transformed to heal and develop couples/families. Dave Young, LCSW, has been an FOT couples/family therapist for over 20 years, including families with traumas and multiple treatment failures. Dave and his wife, Jane, were trainers in Gene Gendlin’s and Ed McMahon & Pete Campbell’s workshops. Dave has extensive training with Marshall Rosenberg & Non-Violent Communication. The Focusing Institute is approved by the American Psychological Association to sponsor continuing education for psychologists. The Focusing Institute maintains responsibility for this program and its content. CE's available to participants: 6-12 based on workshop attendance. This program has been approved by NASW - New York State for 21 contact hours under approval number A-375. If you are a full time graduate student, please call Melinda Darer: 845-362-5222 to discuss tuition options. You will receive a $25 discount if you have paid 2011 Focusing Institute professional dues. You do not need to do anything more, it will happen automatically in the office. You will be correctly charged $25 less. Room and board costs include lodging, 3 meals a day, plus welcome reception and evening wine and cheese. Transportation: Stony Point can pick you up at the airport for a fee. Please contact Pam at the Stony Point Transportation Office: 845-786-5674, extension 110. Travel information will be included in your confirmation letter which will include directions for those who are driving and public transportation information from New York City. $150 administrative fee for cancellation. After September 10, all fees are nonrefundable except in unavoidable emergency. Instructions - please read this! Morning study groups meet Friday Saturday and Sunday morning. Participants will choose one for an in depth experience. Please select an option from each of the five drop downs below. Please select "Not attending the Pre Conference" from the "Choose Pre Conference Workshops" options if you do not plan on attending the Pre Conference.